Run by Helen Larwood (née Colwill) and her dedicated friendly team who make you feel like part of the family! 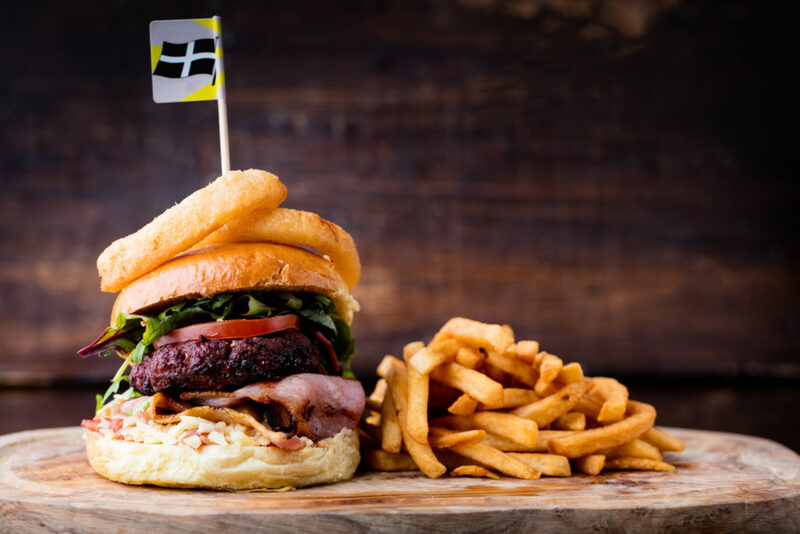 The Courtyard serves, mouth-watering home-cooked cuisine, along with excellent wines, a broad range of local ales and our top tipple; a Cornish cider or two! The Courtyard started life as the farm’s milking parlour but today provides our guests with a cosy dining experience; on warm evenings it is lovely to enjoy dinner under canvas (seagull protection) in our outside courtyard. For families looking to wholeheartedly embrace Wooda-life, we have live music throughout the summer performed by local artists, creating the perfect ambience to dance late on into the evening. Opening times vary throughout the season, please see the notice board at reception for opening times throughout your stay. If you have special dietary requirements, please let us know before you dine and we will do our best to cater for you. The Courtyard don’t take bookings, but if you have a special occasion or large party wanting to dine at The Courtyard then please contact Helen by emailing helencourtyardbar@gmail.com. Please note: Well behaved dogs are welcome in the under-cover outside Courtyard area and cosy Root House, but not in the main bar.